We named Advantage Auto loans because this is what we offer. We aim to put people in a favorable position when it comes to auto financing. We pride ourselves in assisting people looking for bad credit auto loans because we know how difficult it can be to secure car loans for bad credit borrowers, so we make things as easy as possible. It is the difficulty that comes with securing bad credit auto loans that led to the establishment of our company. Our founder started the company as a solution to an ongoing problem. People that need an auto loan, but were having troubles getting approved. He sought to address this dilemma, thinking that there could be a better way to get car loans for people with bad credit. Because he could not find the solution he was after, he created the solution. He consulted with lenders and dealers alike, and found that it is possible to help those struggling to get approved for an online auto loan. Not soon after, Advantage was born. What we do is simple: we take the difficult parts out of the car loan application process, specifically for those in less than ideal credit situations. We find lenders and dealers that will accommodate you, so you don't have to. We connect you to the parties that can provide you the financing you need. We have a wide network of lending partners across the country, so you can be sure we can find one that will help you make that auto purchase. Moreover, if requested we can assist the task of negotiating terms and rates, so you can just sit back and relax. Bad credit auto loans usually have higher interest rates, but our partners will work hard to find you the best deals for your credit situation. The best part? We do all this for free. So what do you have left to do? All you need to do is apply. Fill up our application form and submit. It's that easy. 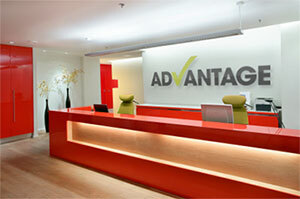 Advantage has been helping people get approved for bad credit car loans in over 10 years. We have helped many customers in the last decade and we aim to help more in the future. Try our service and allow us to bring you one step closer to auto loans for bad credit.